San Diego, Beijing and Shanghai, 28 January 2019 – BioDuro, a leading global life sciences contract research and development organization, and Advent International, one of the largest and most experienced global private equity investors, today announced a partnership to support BioDuro’s growth as a premier provider of integrated drug discovery, development and manufacturing services. 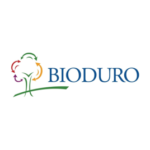 Under the terms of the partnership, Advent has made a majority investment in BioDuro. Financial terms were not disclosed. BioDuro is uniquely positioned within China’s fast growing US$2.5 billion pre-clinical CRO (Contract Research Organization) market, which is expected to grow at a 15% CAGR by 2022. In the US, the US$1 billion CDMO (Contract Development and Manufacturing Organization) market is expected to grow at a 10% CAGR by 2022¹. Founded in 1984, Advent International is one of the largest and most experienced global private equity investors. The firm has invested in over 340 private equity transactions in 41 countries and as of September 30, 2018 it had $39 billion in assets under management. With offices on four continents, Advent has established a globally integrated team of more than 190 investment professionals across North America, Europe, Latin America and Asia. The firm focuses on investments in five core sectors: including business and financial services, healthcare, industrial, retail, consumer and leisure, and technology, media and telecom. After more than 30 years dedicated to international investing, Advent remains committed to partnering with management teams to deliver sustained revenue and earnings growth for its portfolio companies.